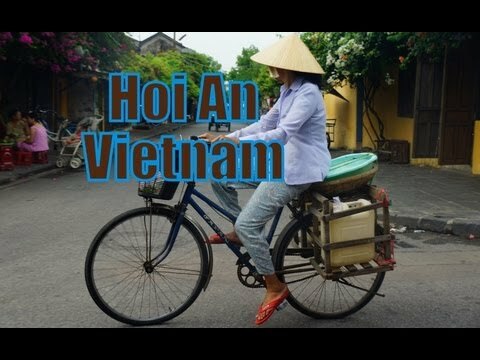 Although we had spent over a week in Hoi An, there were a number of attractions, buildings, temples and other historic sites we had yet to visit. Thus, on one of our last days in Hoi An, we (Samuel and Audrey) decided to explore the center of the ancient town on our bicycles. We purchased tickets from the local tourist office, which for $6 allowed us access into 5 of the old town’s historic buildings. Apparently, you can sometimes get away visiting some of the attractions on the ticket list without paying for the actual ticket; however, we noticed guards checking tickets at several of the places we ended up visiting. Although randomly wandering around Hoi An and visiting many of its local markets – Central and New Market especially – were some of our favorite experiences, we definitely recommend getting a pass to visit some of the main attractions in the Ancient city area. the Assembly Hall of the Fujian Chinese Congregation, which contains a temple dedicated to Thien Hau, the goddess of the sea. We were able to cram all of these sites into a rather condenced period of time by hopping on our bicycles and high tailing it the entire time. If we had to do it over again, we’d definitely take it slower and visit the attractions at much more leisurely pace. One of the potential traps of lingering somewhere for a period of time is that you become complacent and start making excuses for not visiting places. You can always do it tomorrow; however, when time creeps up on you it may eventually be too late. Hoi An, which was once known as Faifo, is a city of Vietnam located on the coast of the South China Sea. The town is recognized as a World Heritage Site by UNESCO, and as such it draws many visitors.